Oh yes, there are plenty of Caribbean islands with beautiful beaches, funky bars and top-class restaurants. But I suspect very few can match St Kitts for the diversity of activities and attractions in such a small area. Of course you can lie on a beach, swim in the translucent warm sea and find a luxury place to eat, but there is so much more to this historic and intriguing island. 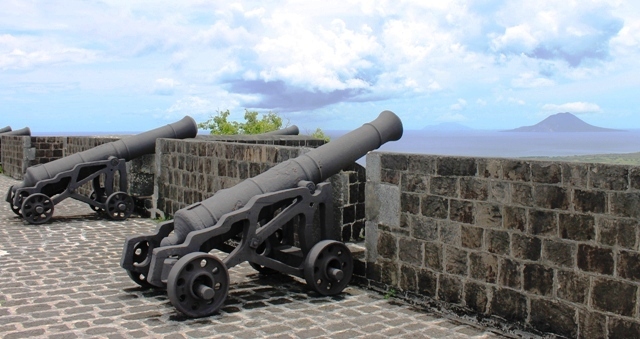 Once the bastion of British defence against marauding French troops vying for occupation of St Kitts, Brimstone Hill Fortress is an imposing edifice with stern cannons primed for potential enemy attack. A UNESCO World Heritage Site, it is “the earliest surviving British example of the type of fortification known as the ‘polygonal system’, and one of the finest examples known anywhere in the world.” Built by slave labour in the 18th century on a volcanic rock, it’s set high above the sea with great views around the island and over to nearby Nevis. 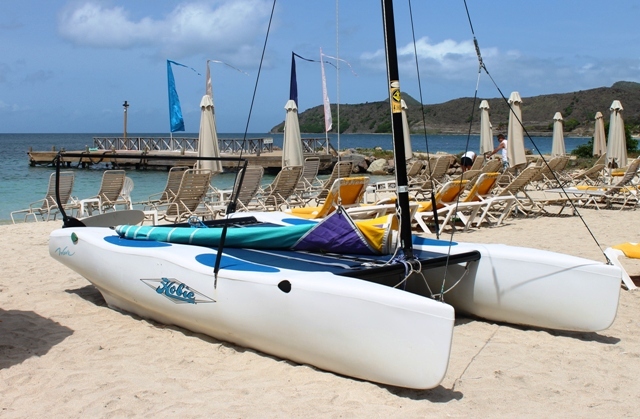 If the view from the fort has tempted you, why not hire a Hobbie Cat on Reggae Beach at Cockleshell Bay for a couple of hours and nip over to Nevis for lunch? Just make sure you have a qualified sailor with you and check the weather! When you get back you could go snorkelling, try para-gliding, fly-boarding, water-skiing or simply chill out at the Reggae Beach Bar. 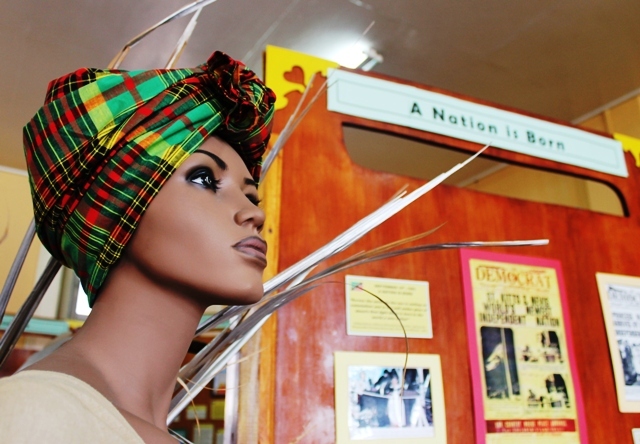 In Basseterre, the charming island capital, you’ll find St Kitts National Museum in the Old Treasury building. It showcases the history and culture of St Kitts and has a quaint air, reminiscent of school classroom displays. You’ll learn about sugar cultivation and the slave trade, ecology and geography of this volcanic isle, Carnival tradition and the Independence movement. I loved it much more than some of the soulless international museums of chrome and minimalism. Originally producing tobacco and cotton, the fascinating Wingfield Estate, set in the picturesque foot hills of the central mountain range, became a rum distillery in the early 1600s. 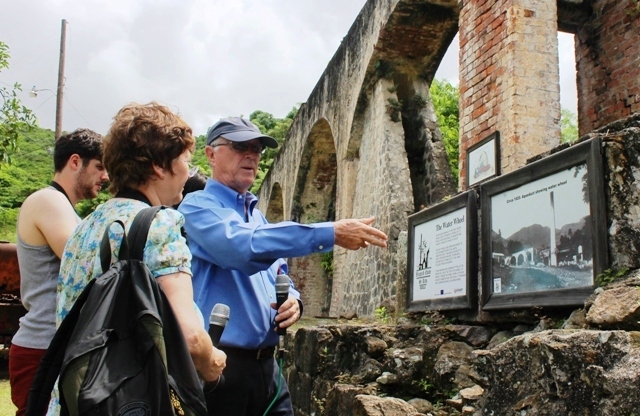 You can view the original industrial workings including the mill and distillery, thought to be the oldest still extant in the Caribbean. Make sure you visit nearby Caribelle Batik, where you can see how to make batik, buy beautiful cotton souvenirs and admire the lush, colourful gardens of Romney Manor. This was a real highlight of my trip to St Kitts. Laughing hilariously, our guide Maynard still managed to look immaculate in his cream trousers and white cotton shirt, safely harnessed and helmeted as he raced down the Sky Safari zipwire alongside our instructor, the mischievous ‘Gorgeous’. 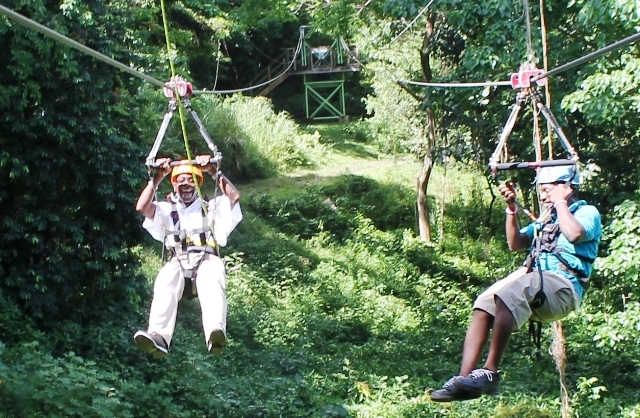 Situated on the Wingfield Estate above the tangle of huge trees and fast-growing shrubs of St Kitts rainforest , the Sky Safari has 5 cable lines of differing heights and lengths and it’s great fun for all ages. The charming Nirvana Restaurant at 18th c Fairview Great House and Botanical Garden serves West Indian Afternoon Tea and offers a Caribbean Cooking Class where you can learn how to make some of the local dishes. Chef Janice showed us how to make Green Banana Escovitch, Creole Fish in Tomato Broth, Island Rice n Peas and Jerk Pork Loin. Dessert was Coconut Bread Pudding, with rum-soaked raisins adding a real ‘mmm’ kick. The grounds are a treasury of trees and plants, many of which have medicinal and health-giving properties. 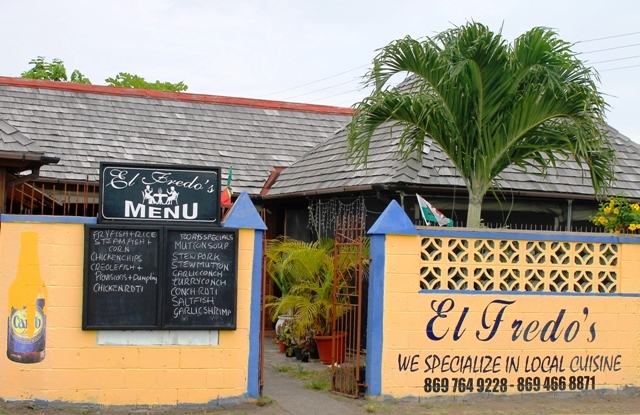 You’ll want to try local food for yourself and there is nowhere better than El Fredo’s on the main road into Basseterre. Run by Jasmine and Ken (who met in Cardiff, Wales) this unassuming eaterie is popular with islanders from all walks of life. You might see St Kitts’ politicians eating beside the guys who fix the roads, and not many tourists. Everyone comes for the great food, cooked with passion and precision. Try the Conch Curry or Mutton Stew served with rice and plantain with a glass of fresh fruit juice or cold beer. 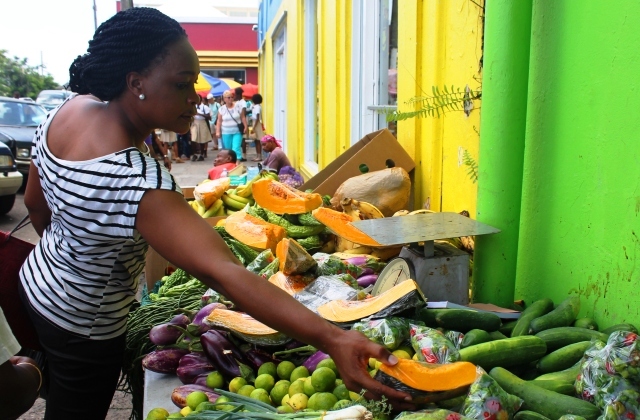 There’s no better way to get a feel for a place than by exploring Basseterre’s markets and narrow streets. 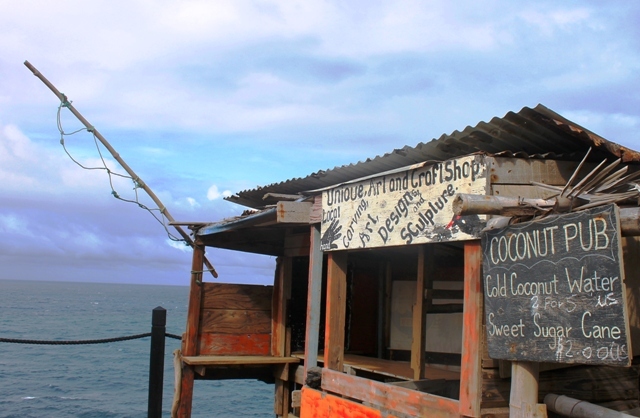 The capital of St Kitts is a colourful mix of quaint wooden buildings, quirky shops and lively eateries. People haggle over a basketful of fresh fruit or vegetables and the busy port is the place for freshly-caught fish and other seafood. School children in pristine uniforms sit around the fountain in Independence Square, site of the old slave market. Grab a seat by the window upstairs in the Ballahoo Restaurant overlooking The Circus with the Victorian Berkeley Memorial and watch the world go by. 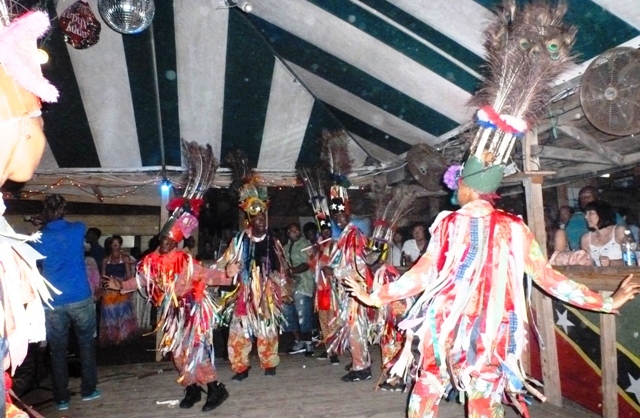 The Masquerade Dancers on St Kitts are a living manifestation of 300 years of dance history. During Carnival time the Paraders wear tall peacock-feathered headdresses, masks, and fringed aprons that reach just above the knees. The entire costume is decorated with bangles, mirrors and ribbons. You can see them shake their booty at the lively Shiggidy Shack on The Strip beside the sea on Frigate Bay. 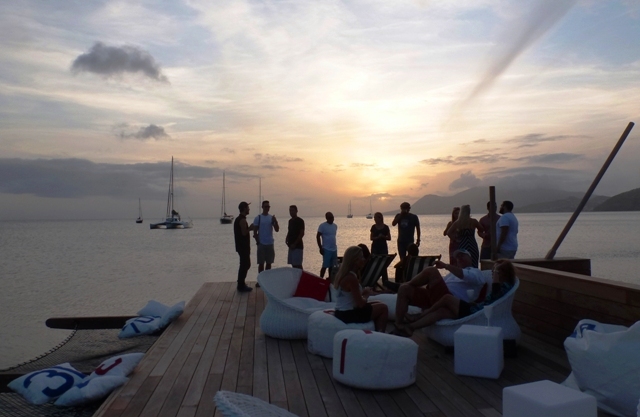 What could be more relaxing than sipping a cocktail, watching the sun set across the ocean? 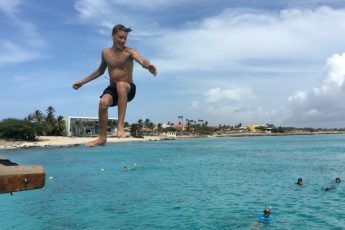 There are plenty of places to do that on St Kitts but I especially loved Christophe Harbour SALT Plage on Whitehouse Bay, at the southern tip of the island. Built on the site of an old sugar and salt factory, the bar uses recycled industrial equipment in its design and its corrugated iron roof gives a nod to traditional building materials. Order a SALT Pond Jumbie or a Plage Magarita, grab a comfy cushion on the pier and get ready to really unwind on St Kitts. The St Kitts Scenic Railway was closed for the season when I visited but I’d definitely add it to your list. I stayed in stylish luxury at St Kitts Marriott Resort hotel. Many thanks to Zarina McCulloch and everyone at St Kitts Tourism for a really memorable trip to this fascinating Caribbean island. Discover St Kitts Rainforest here. Interesting! 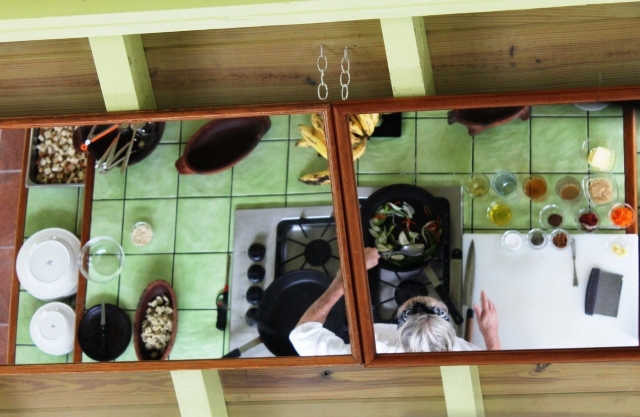 Learning to cook caribbean food and wandering the streets sound so good! Thanks for your comment Renuka – the cookery lesson was fun, especially as we were told what ingredients to use if we couldn’t get the local ones at home. I’d never been to the Caribbean before this trip and must admit I had a rather simplistic view of what it would be like. What really impressed me was the unspoilt nature of St Kitts plus the number of cultural and foodie things to do. Of course, lying on a beach or beside the hotel pool was nice too! Glad you enjoyed your stay in beautiful St. Kitts. PEREIRA TOURS also offers a variety of fun activities while on island. Can’t wait to visit your island. Yes, it’s a lovely place Liz and made me rethink my preconceptions of what a Caribbean island really is. If we return maybe we will be able to do something with Pereira Tours too. Sadly not my island Paola – I live in a little town in the north of England! 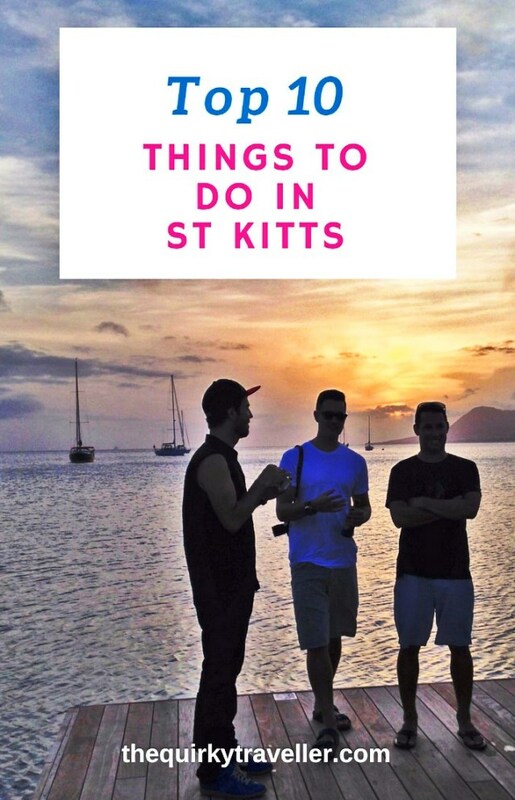 But do hope you get to visit St Kitts one day. It’s got a unique quirky charm. I have been to St Kitts a few times and the one place I would NOT tell people to go to is Shiggiddy Shack , I have gotten food poisoning here , got shook down for tips from nasty staff .the attraction seems to be on Thursday nights but the food is terrible the service is terrible & the place just looks filthy.I am a native NYC guy and I know about rude this place is the dictionary definition of rude! BTW ask any cab driver about Shiggidy Shack they will steer you away. Ken, sounds awful experience. We were staying not far from the Strip and went to the Shiggidy Shack to see the dancers and I too wasn’t impressed with the service and food. (I wrote similar in my Trip Advisor Review.) The Carnival dancers were very touristy but I was glad to have seen them. If people want to try the Strip I’d recommend going to a quieter bar further along the beach. 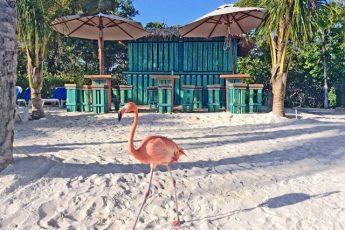 This post took me back to my days working in Jamaica, I would love to explore more of the Caribbean and St Kitts could now be next on my list! Many thanks for the useful tips and ideas. Thanks for your comment Linzi – I have nothing to compare it with as haven’t been elsewhere in the Caribbean but others tell me it is very special and unspoilt, which I exactly what I experienced. It may not be the top place for a beach holiday, though the beaches are very good, but definitely for a many other things including the history of this part of the world. Hope you make it one day. Can’t wait to visit St Kitts next week! This post has made me even more excited about the trip. The zip-lining looks like a lot of fun! I am sure you will absolutely love St Kitts Chloe 🙂 It is still relatively unspoilt and small enough for it to work its Carribean island magic. Very envious!